The donation of organs in India is picking up lately as apprehensions and misgivings about organ donation are being cleared by sustained campaigns. The donation of organs in India is picking up lately as apprehensions and misgivings about organ donation are being cleared by sustained campaigns. Enlightened people are enrolling themselves for donation of their organs such as kidneys and liver when they are dead or alive and also donation of cornea and heart after their demise. This is quite heartening considering that there is acute shortage of organs for transplantation in India. However, organ transplant is a costly affair, considering that kidney and cornea transplant can cost about Rs 1 lakh, heart transplant can cost Rs 10 lakh and the cost of liver transplant is a whopping Rs 25 lakh. The good news is that in India, health insurance policies offered by many of the insurers cover the cost of organ transplants. 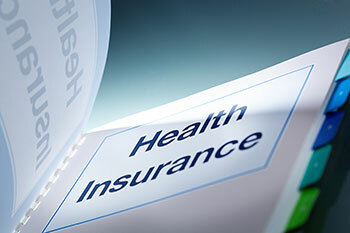 All of the medically diagnosed conditions, procedures, treatments and surgeries requiring hospitalisation are covered by health insurance policies. However, the catch is that the costs required to be incurred for the organ transplant by the insured recipient is covered, subject to the limit of sum assured, while the costs of donor are not covered by the health insurance policies. The pre and post hospitalisation costs of the donor and the costs arising on account of post-surgery complications, if any, are not covered by any insurance policy in India.